Are you ready to evolve to the next level of ERM maturity? Ventiv’s ERM module empowers you to manage risk across your enterprise, facilitating the distribution of risk management to a broader set of key stakeholders—all while providing you with all the control and oversight. 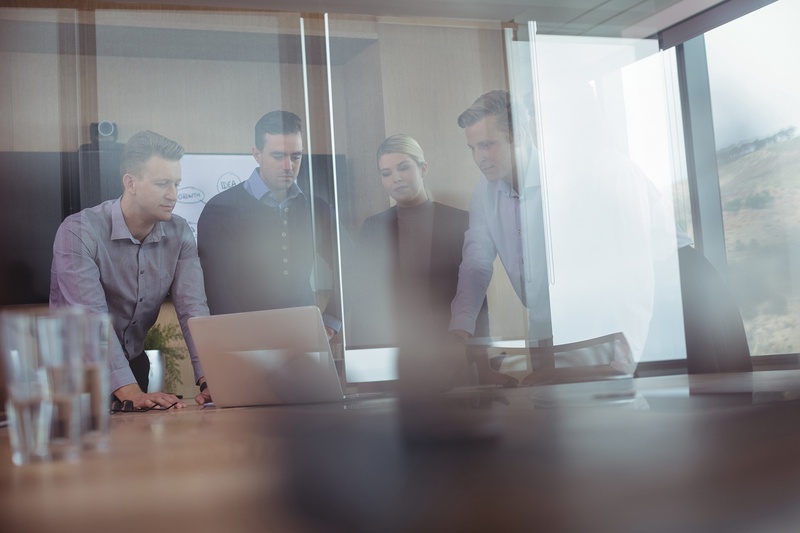 Once you’ve established an ERM process, Ventiv provides immediate value by supporting the efficient integration of ERM into your enterprise’s existing management processes. Ventiv’s ERM module can be easily adapted to match your specific framework, including appetite, assessment and scoring definitions. Ventiv allows you to consolidate multiple spreadsheets into a single source of the truth, while still providing different viewpoints (e.g., global, regional, local). Enhanced intake tool to easily roll out your ERM process for updates on risks, controls and actions plus powerful reports and analytics for distributing insights. Improve real-time reporting and analytics to help you make better risk-based decisions. 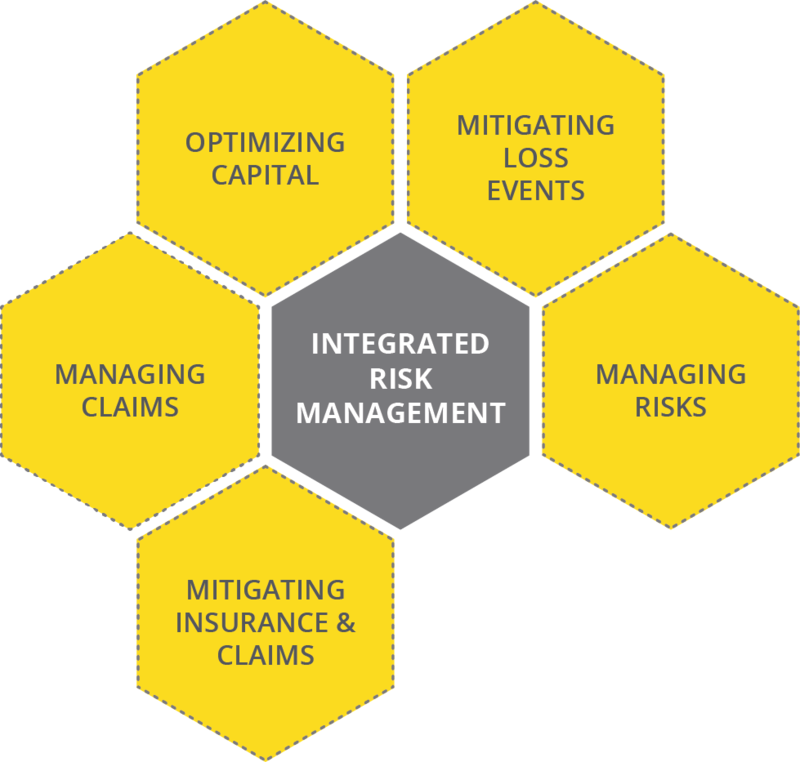 Use a single technology platform across ERM, safety, audit and insurance activities. Reduce the effort in managing your ERM process with better workflow, aggregation, consolidation and reporting. With your ERM framework and process established, you are now at a stage to move away from ad-hoc spreadsheets and integrate ERM into your organization. Ventiv’s new technology platforms—Ventiv Digital for intake and Ventiv IRM for risk management—make it even easier and promotes efficient use of resources. Automation of your workflows and dynamic aggregation and consolidation. Successful ERM programs help senior management and boards better understand critical risks—both existing and emerging—and the potential impact of those risks on financial performance and operational health. Ventiv helps support this by providing the reporting and analytics to help you promote a culture of risk-based decision-making. By facilitating analysis of top and emerging risks, you're better positioned to focus on actions that improve your organization's risk landscape. Integrated incident and loss reporting, including corrective measure tracking and root-cause analysis. Linking of risk-transfer controls with the actual insurance policies. Sharing of common operational information, including company hierarchy. How are you assessing your risks? Ventiv supports your organization's unique hierarchy so that risks can be mapped to your distinct business structure. Multiple hierarchies are also supported covering risk, product, project, service or other unique needs. These allow easy aggregation and consolidation up to high levels in their structure. Ventiv’s ERM module provides a full audit trail of all changes made to your risks. This allows you to see each individual risk assessment—and, at a more detailed level, every field change. 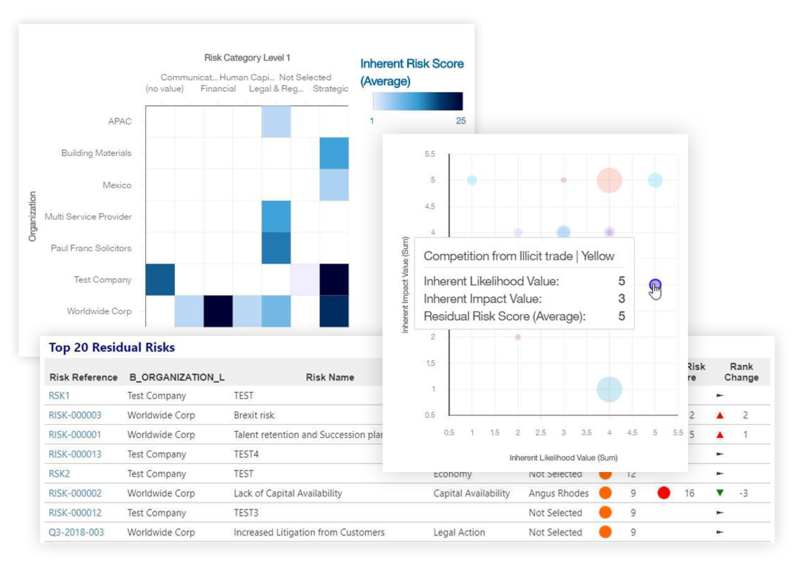 With this capability, you can easily generate reports for any specific period, as well as comparative periods to spot any emerging risks or trends. Ventiv allows you to manage and have oversight of your risk processes, with automated emails to alert and remind you of action items. Plus, review and approval steps to demonstrate compliance with your corporate standards. Ventiv provides a comprehensive range of reporting and analytic capabilities, to allow timely insights and identification of risk trends and outliers. The Ventiv Digital data-intake tool allows the risk manager to easily collect updates from across their enterprise. Utilize custom-built forms that can be tailored around your particular ERM framework and processes, plus options for both desktop and native app usage. Ventiv Digital provides stakeholders a non-challenging and easy-to-use step up from spreadsheets.